Finland: a small Nordic country with a population of just over 5.5 million. And home to the world’s leading schooling system. Around the world, Finland is acknowledged as an ‘educational superpower’. An international, standardised assessment that measures 15-year-olds in language, maths and science. Yet the lack of focus on standardised tests is one of the reasons that the Finnish school system is so successful. And how it differs from what we’re used to in Australian schools. 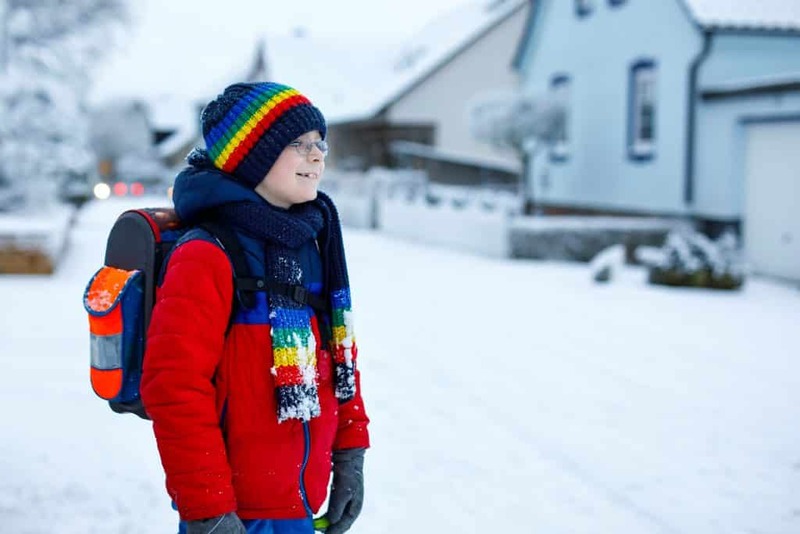 In Part 2 of this post, we’ll look at how parents can take lessons from Finland to help their children thrive in school, from home. Even the few independent schools are publicly financed, and there are no private universities, either. ‘This means that practically every person in Finland attends public school, whether for pre-K or a Ph.D’, explains Anu Partenen in the article ‘What Americans Keep Ignoring About Finland’s School Success’. And all teachers are trained, treated and respected equally, too. Every teacher has a Master’s Degree, prestige, decent pay, and a huge amount of autonomy and authority in their classroom. There is no list or ranking of best teachers in the country, or the best schools. And so what this means is that no child’s educational opportunities are disadvantaged by their location, their socio-economic situation, or their skill-level or intellect. In Finland, parents have even more choice, but they’re not restricted or influenced by reputation, teaching credentials or cost. So every child has the same opportunities in their education. Finland invests in educating, training and supporting their teachers, so that the teachers can do the same for their students. Once teachers are qualified, they ‘are trusted to do whatever it takes to turn young lives around’. Each teacher adopts their own unique method, one that they’ve judged to be best for their class and every member in it. ‘All children have access to individualised support and help based on their needs from the beginning of their schooling’, explains Finnish education expert Professor Pasi Sahlberg. The large class sizes in Australian schools make truly personalised learning an impossibility. And to make more time for those who are struggling. ‘This helps us to be able to make sure we can use/develop everyone’s skills and potential’, explains the country’s Minister of Education Krista Kiuru. ‘I think learning matters more than education’, says a former Teacher of the Year Ashley Lamb Sinclair. But not for students in Finland. For a start, there are few if any mandatory standardised tests. And the statistics show that many kids are struggling with the high demands of academic achievement. This is part of the reason such tests are avoided in Finland. And to ensure they are reaching their full potential. Without the looming shadow and increasing pressure of grades, ranks and enter scores. ‘We prepare children to learn how to learn, not how to take a test,’ said Professor Sahlberg. And that includes play itself! For every 45 minutes of learning, students (and teachers) have a 15 minute break. But exactly how they choose to spend their break is up to them. This freedom encourages creativity and imagination, fosters their social skills, improves mental and physical wellbeing, and builds their sense of confidence and independence. ‘Children love to be given responsibility’, says teacher Erika Stewart. When they return, teachers find their students much more attentive and focussed. School isn’t compulsory until age 7, it usually only lasts for 4 hours a day, and minimal homework is assigned. And when students reach high school, they’re encouraged to study subjects that they’re interested in — not just the one’s that they’ll be good at. The kind of engagement that is chronically lacking in Australian schools. ‘Finland takes the issue of student boredom seriously’, says Lamb-Sinclair. Finnish schools have avoided the ‘epidemic of anxiety’ that is plaguing students in Australia, the UK and the US. But while academic pressure is a huge source of anxiety for young people, it’s certainly not the only one. That’s why every every Finnish school has a social worker, a psychologist, and a nurse who can immediately pick up on problems at home or at school. This support system is the single most important factor in helping Finnish student’s thrive, says author of Teach Like Finland Tim Walker. Additionally, by providing a diverse and balanced education, teachers help kids to enjoy and look forward to their time at school. ‘Academics isn’t all kids need,’ explains Kiuru. By encouraging individualism and personal passion, they’re helping them to develop a lifelong love of learning. And by teaching students in a way that is encouraging and motivating, they’re helping to guarantee their present and future success. All in all, the crux of Finland’s school success lies in it’s policies of equality and autonomy. All teachers and students are treated equal, with equal opportunities. All teachers and students are expected and encouraged to be individuals, and to act independently within their schooling system. And competition, between students, teachers and schools, is replaced with cooperation. But Finland’s incredible school system has been a long time in the making. It will be some time before their policies and approach reach Australian students. In order to support the development of happy, healthy and engaged students, from home.